My husband was at it again in the kitchen, a girl can really get used to this! He found another gluten free recipe on the Real Simple website and boy was it yummy. Heat 1 tablespoon of the oil in a large skillet over medium-high heat. 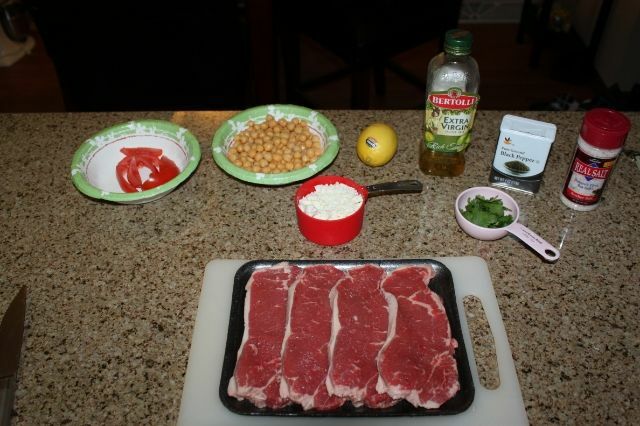 Season the steaks with ½ teaspoon each salt and pepper. Cook the steaks to desired doneness, 4 to 6 minutes per side for medium-rare. Transfer to a cutting board; let rest for at least 5 minutes before slicing. Wipe out the skillet and heat the remaining oil over medium-high heat. 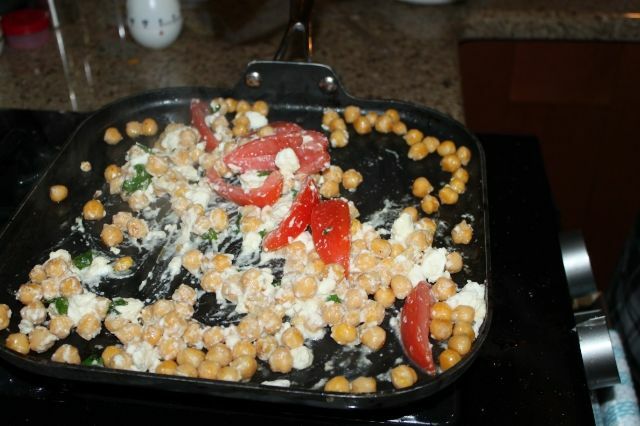 Pat the chickpeas dry with paper towels and add them to the skillet. Cook, stirring occasionally, until slightly crispy, 3 to 5 minutes. Stir in the tomatoes, cilantro, lemon juice, ½ teaspoon salt, and ¼ teaspoon pepper. 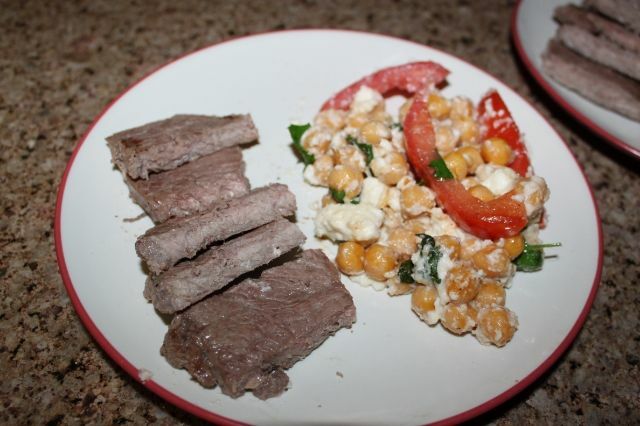 Transfer to plates and sprinkle with the Feta. Serve with the steak. This was such a fun dish. It for sure game me some good ideas of other foods to try. I loved it, the kids actually ate it (how many 3 and 5 year old do you know that would eat this? ), and the hubby enjoyed it too! Is this a recipe one you and your family would try? This looks delicious. Not a chick pea person but these make me want to try them this way. Really nice!